On October 2nd, the Annual General Meeting (AGM) took place. This time in Barcelona, Spain. With 120 participants from 17 countries at the meeting and conference, the event was an unprecedented success. In 3 days we held the AGM, workshops, visited 2 significant cemeteries and experienced Barcelona extraordinary architecture, life and diversity. 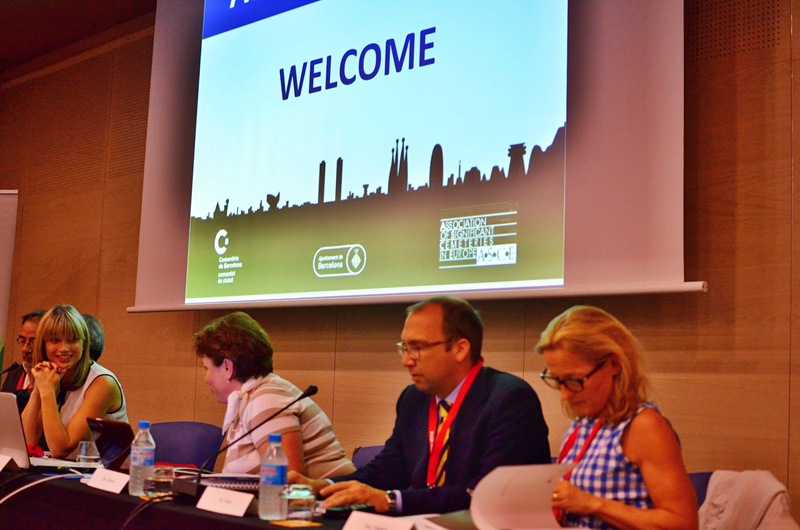 Thanks to presidency, steering committee and exceptional organizational efforts of our host, Cementiris de Barcelona, all the participants could have developed new ideas. 1. Financial report for 2013. A very well balanced finances statement provides secure future for general work of ASCE. 2. Notes of significant charter changes in past years were outlined once more to remind members of new addresses and arranged ASCE legal status. 3. ASCE members right and obligations document draft was presented. 4. 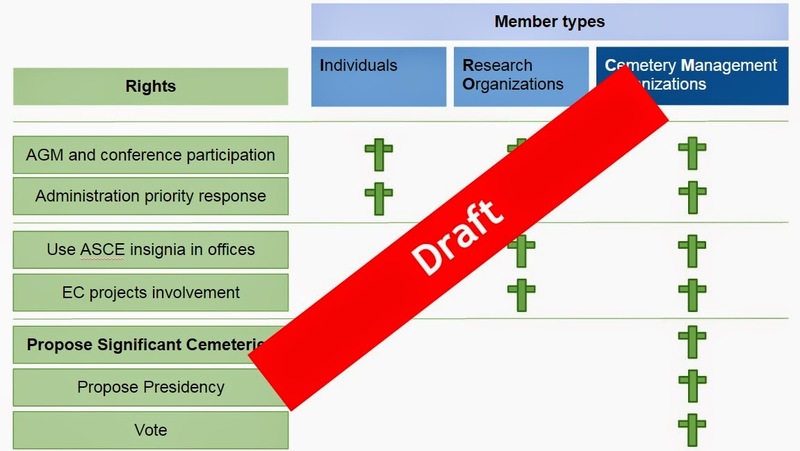 The difference between membership and Significant cemetery was outlined. 5. A new form for proposing Significant cemeteries was presented. 6. Significant cemetery re-evaluation tests were presented. With these tests which will start to be performed in 2015 we will make sure that ASCE's list of cemeteries as well as membership databases are updated and maintained. 7. ASCE promotional activities were presented. Constant growth in website visitors and email subscribers is noticed. Strong emphasize was put on delivering the emails through spam filters which can be done by support of all members. We have advised everyone to make sure with the help of IT professionals the emails from ASCE are delivered to the inbox of their email client. ASCE is doing everything to lower the chances of having emails in spam folders, nevertheless filters are very varied by their nature. new significant website sections were presented: researchers network, bibliography and EU projects. Especially the latter provides many new possibilities for members to use the strength and infrastructure of association in approaching new project ideas. 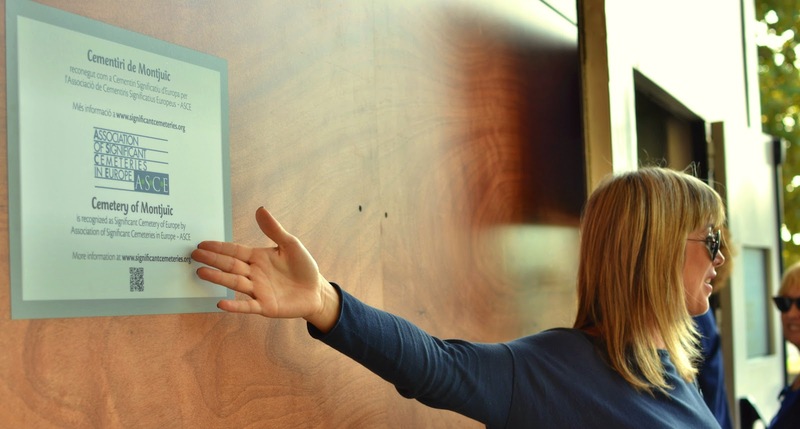 project Rest in peace memories was exposed as an example of good practice that can help members achieve much publicity in local and regional media and public. 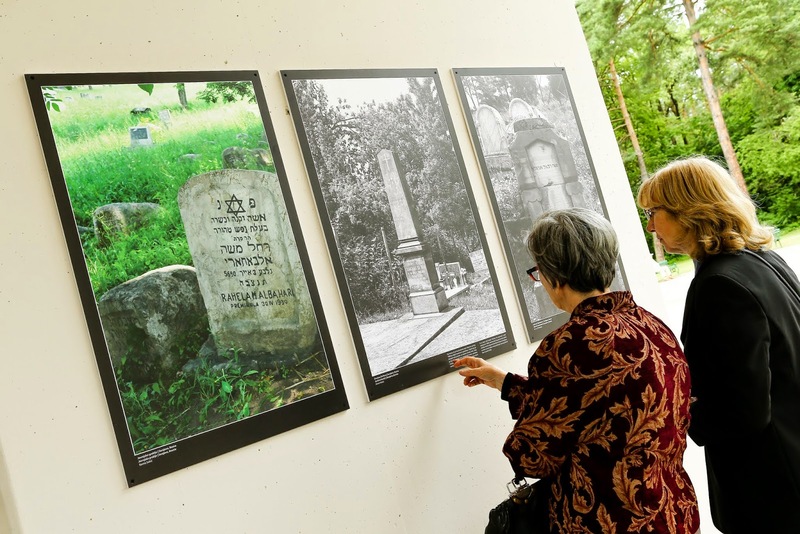 ASCE provides big database of professional photos that can be used by members to expose cemeteries from other European regions in our own local community. This brings important contrast to the minds of local people, helping them understand why their own cemetery is significant as well. We strongly advice members to take note of this approach and create new exhibitions with multilateral cooperation with other members of ASCE. 8. ASCE is active in many projects as association and by many members in particular networked projects. 9. European Cemeteries route is one of the ASCE main projects. While aiming at opening cemeteries to tourists it is strongly connected to many other activities of ASCE members who participate in this. In past year, new website of the Route was built. It is particularly different to the ASCE site since it is intended for tourists and end users, not for professionals or researchers who look at the cemeteries from other perspectives. Website is created in a way that the content about cemeteries is directly presented from the ASCE website. Members who decide for extended membership in the route can as well add more points to the cemetery and have it presented in mobile guide (smart phone application) ARTOUR. 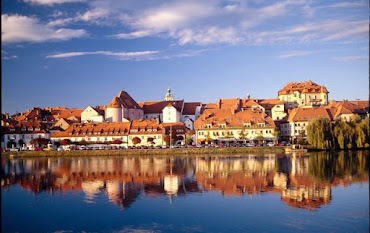 In 2014 European Cemeteries Route was confirmed certification by Institute of cultural routes of Europe. Members were notified of extensive set of marketing materials available for them to promote their cemetery and the route in their own environment. 10. 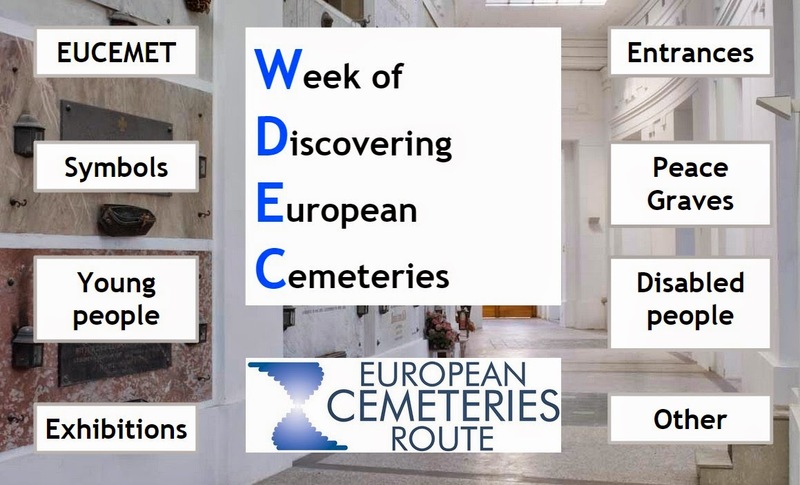 Members were notified of much progress at Week of Discovering European Cemeteries. Project is very much alive each year and getting more and more attention. It is however very important to make sure all events are promoted over ASCE website and channels as well. Therefore all members are invited to share their events by sending an email to administrator or secretariat. ASCE is providing information regarding many other events, like guided tours, concerts and other that take place at Significant cemeteries. Members are therefore invited to supply these events information as well. 11. To raise awareness about ASCE all over Europe, it is important to properly signify the cemetery entrances. Therefore Steering Committee decided to start a project of cemetery entrances photos. Until May 2015 all members are requested to send a photo of cemetery entrance (in maximum quality) that has the ASCE insignia on. 12. Any member who wishes to participate in EU projects can do so by joining the ideas or create new ideas at our EU projects page. 13. New members of ASCE and European Cemeteries route were presented. We are very proud to continue important work for our cemeteries and seeing growth of membership and activities by members. AGM 2014 proved there is a lot of interest in expanding such work and we are sure that in Bucharest in 2015 we will see even more amazing projects which will bring our visitors in touch with the cemeteries. Conference part took place after the AGM. You can see the presentations and photo glimpses from the conference at this link.